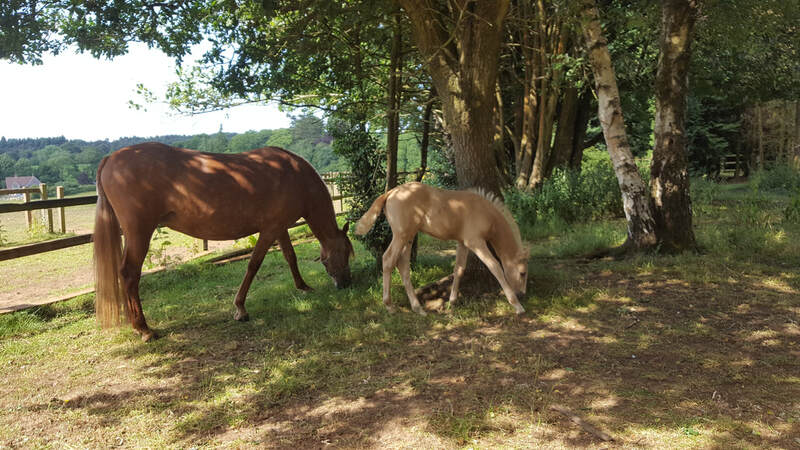 Gazaro Mancha is one of our homebred mares and has recently weaned her palomino foal. 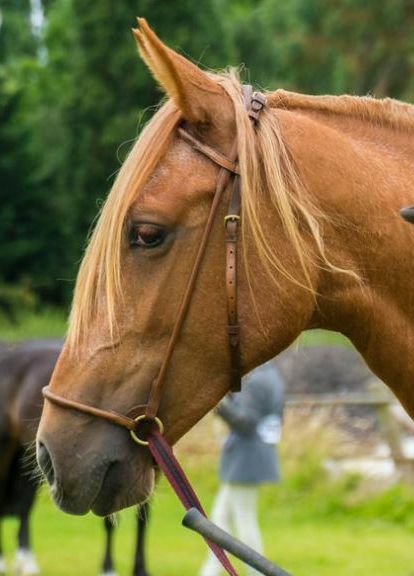 She is being offered for sale (with or without the foal) because she does not match two of our other mares and we have the ambition to produce a 3 or 5 mare cobra for exhibition. ​Mancha is now able to go to her new home and start her new career and there would be a reduction in price should someone want to purchase Mancha and Mansonella together. Gazaro Mancha is a homebred mare by Comico IV out of Borrascosa IV. ​Mancha is Spanish for ‘splash’ or ‘splodge’; an obvious name considering the size of the star on her head! Although chestnut at birth she has inherited one grey gene from her sire and now shows some ticking through her coat. However, as Comico appears to have an inhibiting gene which prevents him from greying out and at his current age of 23yrs he still shows considerable colour through his coat, which makes his colour pattern most attractive. 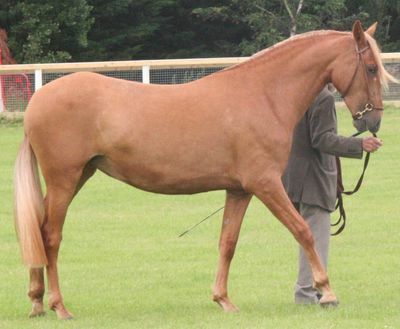 This suppression factor is not yet fully understood by the geneticists but it is exhibited in other horses in Comico’s line and it looks like it may also be present in Mancha. We showed Mancha twice in 2016. At her first show she came second in a large class of over 20 youngsters aged 1-3yrs of all breeds. She also competed in the ANCCE 2yo filly class at the 2016 GBPRE National Show and came a creditable 4th. She was judged by judges from Spain, as this show is a qualifier for the Spanish Championships held each year in Seville. She was Graded in June 2017 and put in foal to Mas Yaco and had a palomino filly foal, born May 2018. 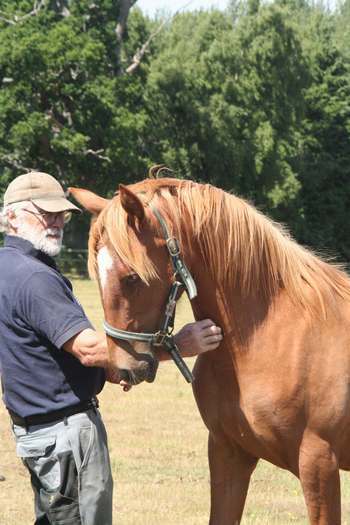 Mancha is now five years old; a solid, well developed mare with a very easy going, friendly attitude. Her conformation is correct, with a wonderful head as well as good bone. 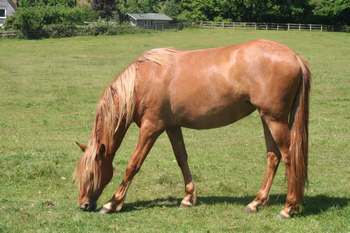 Although she has never been put under saddle due to her being put in foal last year, she is easily trainable and bright. She has been trained to show both in the English style as well as in the Spanish style with no problems at all. She would make a superb ridden mare and a wonderful, kind friend.